Not all heroes walk on two legs! Our Village Security team provides a secure environment to everyone on-site at Father Joe’s Villages— with a little help from their canine companions. Our security team is on-site 24 hours a day, 365 days a year to assure a secure environment for residents, guests, employees, volunteers and clients. They are tasked with maintaining surveillance of Father Joe’s Villages’ properties through security monitors, controlling access to all our buildings and property, conducting crowd control and making sure that rules and regulations are adhered to. Our security team is highly successful in preventing criminal activities and reducing the cost of ambulance-use through rapid response and compassionate resolution in emergencies. 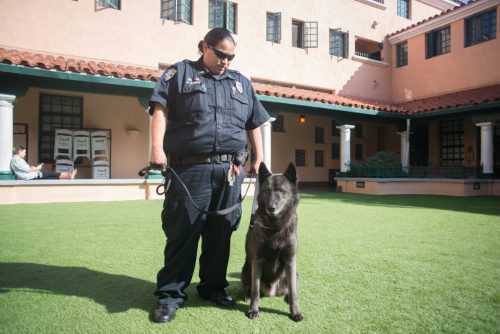 At any given time, you can find one or more of the 43 human officers and two K9 officers patrolling the premises. 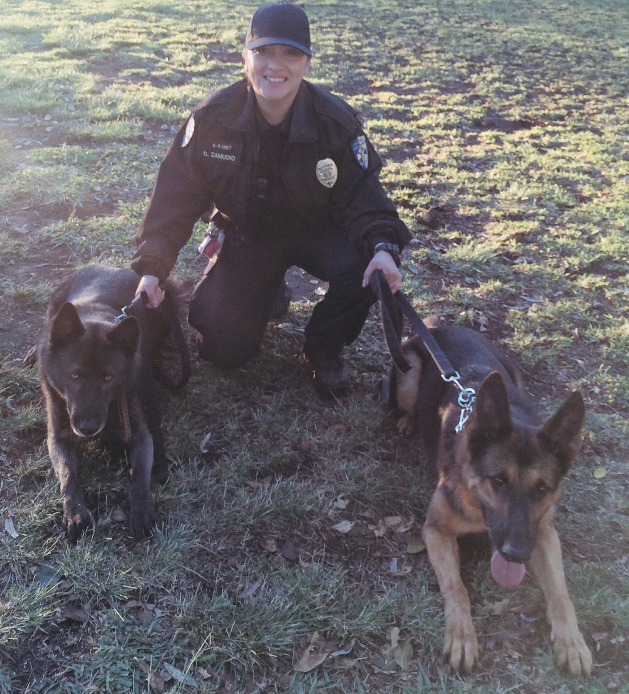 The K9 Unit currently consists of two K9’s: Shadow, a German Shepard, and Tuko, an Akita shepherd mix. Both dogs have received extensive K9 narcotic detection certification and our canines have provided critical support in finding drugs, alcohol and drug paraphernalia that is brought on-site. We currently have four handlers, Officer White, Officer Barnes, Security Manager Dumas and myself, K9 Lieutenant Zamudio. The K9 Unit in-and-of-itself has been a part of Father Joe’s Villages for over 22 years! The Village Security K9 Unit conducts both random and scheduled searches to all areas within the Village to help assure the environment is free of drugs and alcohol. 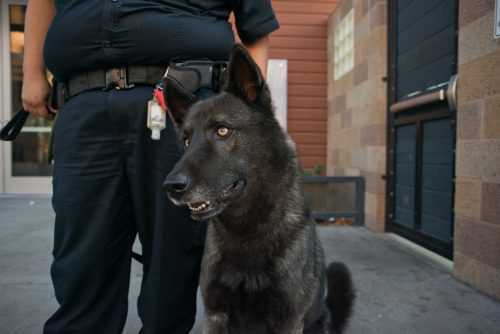 In addition, the canines are patrolled on or around the Village to help deter any threats or acts of violence towards staff, volunteers or clients. As K9 handlers at Father Joe’s we’ve learned to care for the dogs, day-in and day-out. We’ve learned to understand their body language, change of behavior, basic needs and continue to learn new things about them each and every day. I have been with the Village Security K9 Unit for over three years and been able to ensure the right handlers are brought on board—Congratulations Officer White and Barnes on their recent promotions. The dogs truly love them both, trust me. Training wasn’t easy but—ask them—it was worth it. The K9 handlers focus on ensuring the dogs receive their daily enrichments from toys, treats or simply a “Good Boy”. The dogs won’t ever complain, not only because they can’t talk but because they fill our lives up with so much energy and happiness. They are the most loyal partner anyone could have and they will always protect us in stressful situations.